Red Wing Dove wines are family estate grown on a rolling Texas hillside. The special trellis design is optimal for southerly breezes to flow-through the vineyard, to bath the grapes in gentle morning sun, and provide protection of the grapes from the well-known afternoon heat. The grapes’ natural body and breadth of flavors develops from the limestone enriched soil along with loving care that each hand-pruned vine receives. Once harvested, grapes are immediately whisked away from the vineyard into the air conditioned winery, thus ensuring the freshest wine possible. Grapes from the beautiful valleys of California were imported due to low yields in 2013. All of our wines are produced from fresh, vinifera grapes at the winery in Hamilton, Texas. New Sangria Wine and Orange Blossom are Now Available! This big, bold white wine is crafted to naturally bring out its Viognier grape flavors. Aging, malolactic fermentation and barrel enhancement smooth its roughness; pair with bolder chicken dishes, seafood and grilled meats. Our coppery, silvery colored grapes develop a gorgeous, very smooth and buttery, Pinot Gris wine which has been through malolactic fermentation and aged in a neutral oak barrel. This delicious wine pairs wonderfully with creamy cheeses, seafood, and especially pork tenderloin. A natural roundness of flavor is developed from this blend of gentle Pinot Blanc and fuller bodied Pinot Gris. This off-dry, dazzling wine is enjoyed with a pairing of seafood, pork or chicken or as the wine of choice for summer afternoon refreshment. The name Honeysuckle is representative of this luscious sweet wine crafted from Pinot Gris grapes. With aromas of apple and pear, this sweet wine should be served chilled with chicken, seafood and creamy cheeses. This super sweet wine is created from a blend of crisp, citrus Pinot Gris with the delicious muskiness of Viognier and is fermented with whole fresh oranges. This very delicious wine should be served chilled and pairs well with soft cheeses and poultry. Our gorgeous sweet, blush wine is a blend of 90% Pinot Gris with 10% Shiraz producing tint similar to a glowing Texas sunset. These two bold wines with a balanced sweetness come together to offer a fresh wine with slight tannin. Our Judy wine pairs well with fruit, cheese, pork and turkey. A wonderful, natural full jalapeno flavor is developed from this Pinot Gris wine which has been fermented with fresh, whole jalapenos. It is especially delicious when enjoyed with Mexican food or sipping in the afternoon with various hard cheeses. This wine provides an excellent marinating wine which adds the special extra touch of jalapeno pepper. The 2015 Peño Vino is not hot but the 2016 Peño Vino has a gentle burn in the mouth, try it for yourself. Our big, bold Shiraz has a robust fruity flavor, exhibiting well integrated tannins and a nice balance of oak. The notes have peppery blackberry and plum flavors typical of our warmer climate. It is a great young wine, but as it ages, develops complexity and smoothness. This fine dinner wine pairs well with beef and spicy Cajun or Mexican foods. Our oaky, aromatic Tempranillo varietal offers a hint of leather along with cherry aromas and flavors. Oak barrel aging is employed to generate increased complexity and harmony. This savory wine pairs with all kinds of food and works especially well with bolder meat dishes and aged cheeses. The Tempranillo and Ruby Cabernet grapes from California are crushed and fermented together, thus integrating their dark fruit flavors and savory tastes. This well balanced blend is a barrel aged, full-bodied red wine. Try Gholson Red with grilled burgers, wood-fired pizza, or marinated ribeye steaks. 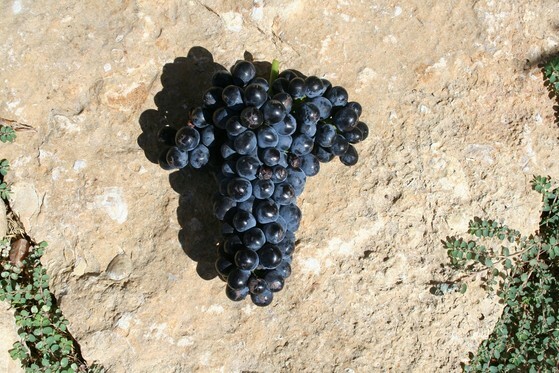 Ruby Cabernet is a hybrid of Cabernet Sauvignon and Carignan grapes developed for hotter climates. The quality of the Cabernet produces a fine, oak barrel aged wine with strong tannins and acidity. Many richer dishes pair well with this wine such as BBQ beef ribs, mushroom risotto, and full bodied cheeses. Our varietal Rose’ is drawn from lightly crushed Shiraz grapes within 24 hours to produce incredible flavor and freshness. This premium, elegant Rose’ bursts with a nose of strawberry and a hint of spice. This wine offers incredible pairing possibilities such as pasta, grilled fish and especially chocolate or other desserts. The Tempranillo and Ruby Cabernet grapes from California are crushed and fermented together, thus integrating their inherent aromas of chocolate and raspberry. This scrumptious wine, created specifically for the sweet red wine lover, is meant to be enjoyed while relaxing on the patio, with early evening appetizers or after dinner. This delicious, sweet port wine has been developed from our fortified Shiraz wine and aged for over two years in oak barrels. This special wine, Tinto de Portejas, is meant to be enjoyed after dinner as a dessert wine.